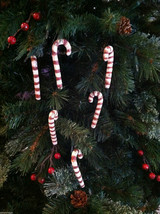 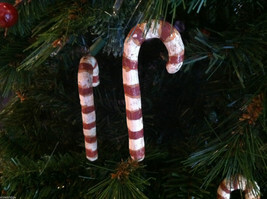 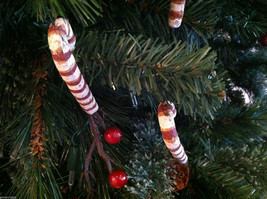 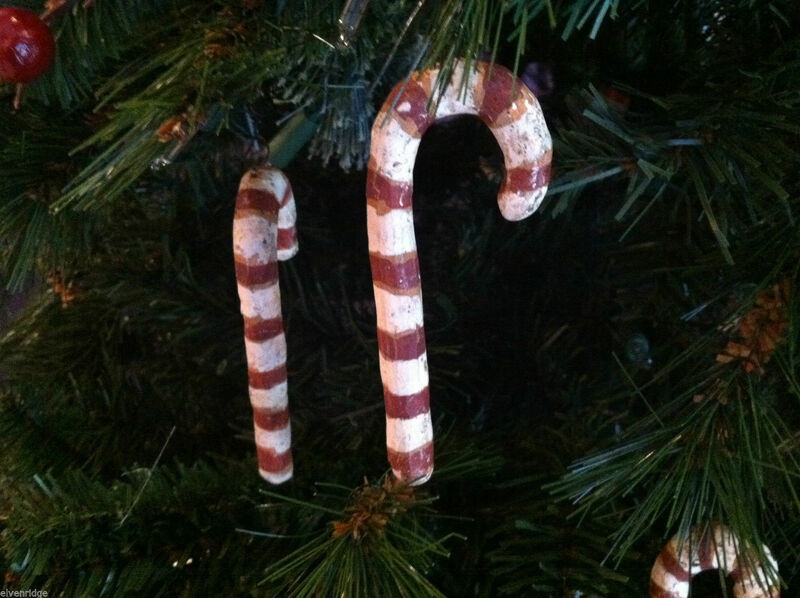 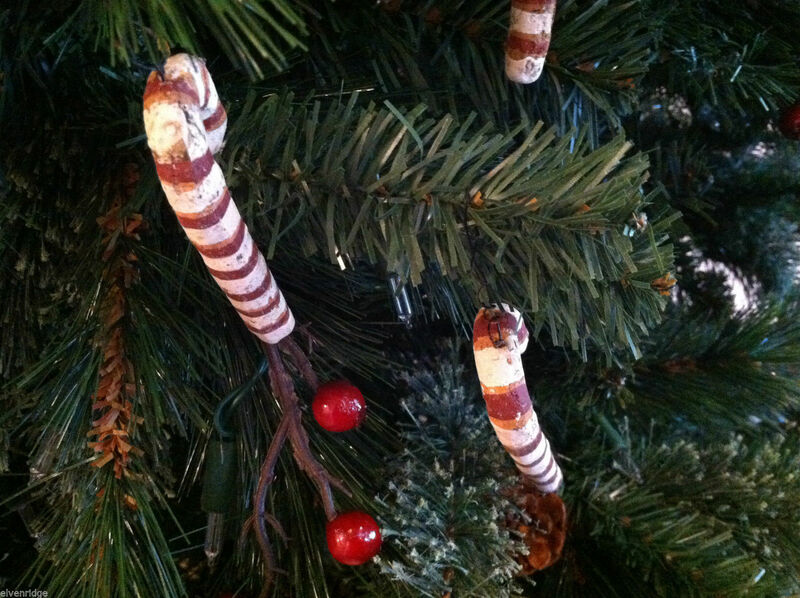 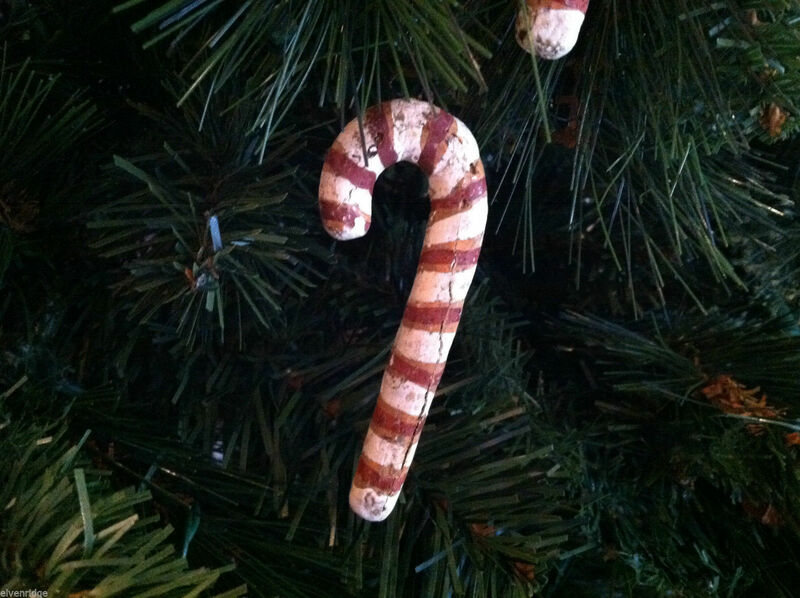 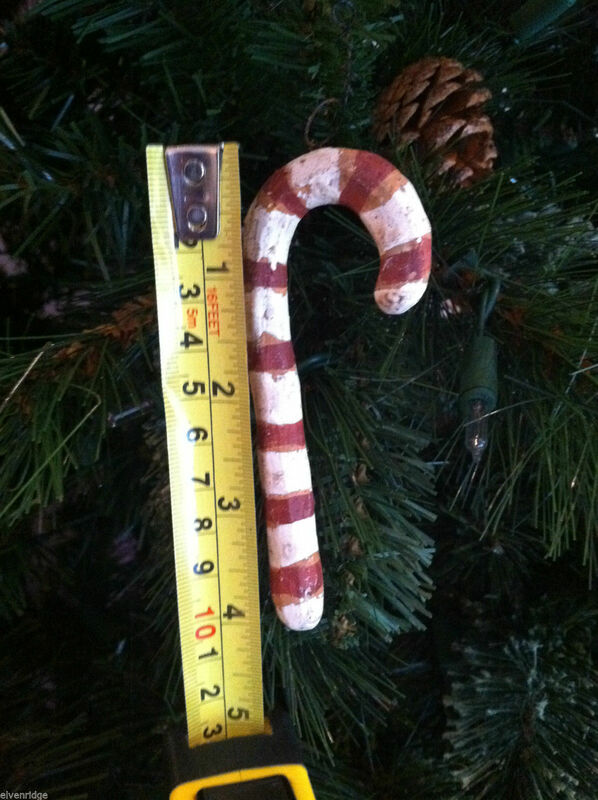 Decorate your tree with this set of 6 very rustic looking candy cane ornaments! 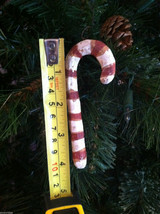 These candy canes are hung by a wire hanger and 3 come in 3 1/2" length and the other 3 come in a 4" length. 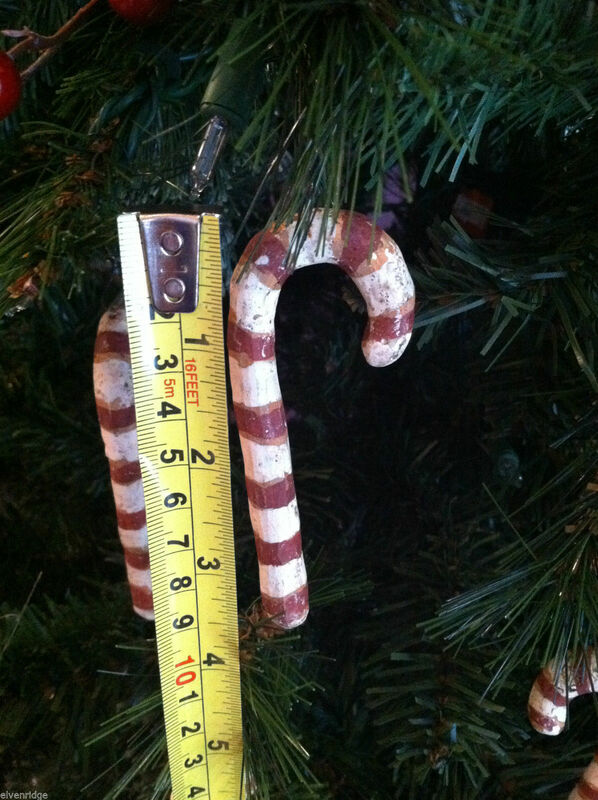 The box the ornaments come in measures 8 1/4"(L) x 5"(W) x 3/4"(H). Some ornaments have little splits or cracks in their side - they are purposely made to look old and vintage.